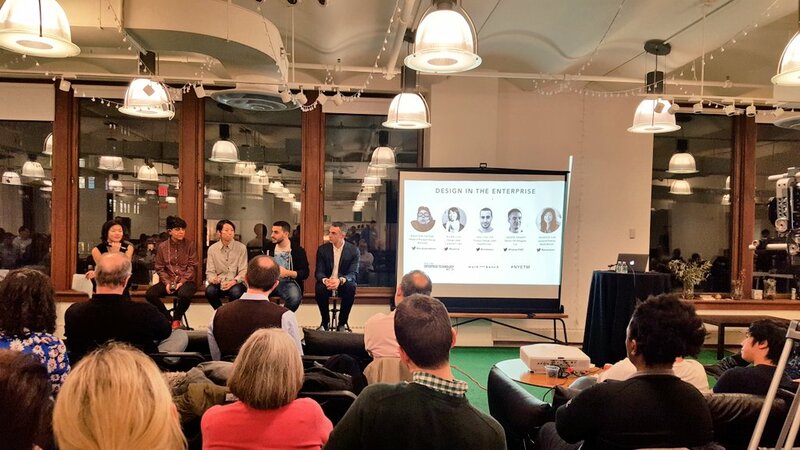 I enjoyed the NY Enterprise Tech Meetup last week. In addition to two great demos, the event featured a panel that discussed UI design. It is a topic that intrigues me. Fusion PR has represented a number of providers of tech that improve user experience. As you’ll see, the event delivered all of this and more. WTF is Design in the Enterprise? You can be forgiven for thinking that “enterprise design” is an oxymoron. “Business software” does not summon images of elegance or beauty. Plus the field is not helped by its abundance of buzzwords which all kind of sound alike: user interface, user experience, enterprise design and customer experience. Factor in related acronyms and modifiers and you have a real mess (UX, UI, CX, usability, user experience management/UEM, behavioral analytics, UX design – you get the picture). Yet good design has never been more critical. Vast sums are spent on software each year, and many licenses sits on a shelf, often due to poor UX. Plus, the rise of Apple and consumerization of IT have led to a growing appreciation for great design, in both hardware and software. They all shared great tips and info on the topic, some was covered in tweets. Please see the Storify wrap below. Also, my web searches uncovered this great Medium article on 20 UX Design Blogs and this Quora Q & A on the topic. Finally, I saw that the NY Tech Alliance is hosting a related event next Wednesday: User Experience Research – Past, Present and Future. Tom Tullis, author of Measuring the User Experience will be speaking. MaestroQA – Helps customer care teams run quality assurance and coaching programs; improves these things by streamlining processes in one solution. BigID – Helps organizations deal with unbridled PII sprawl by transforming the practice of privacy management and personal data protection.